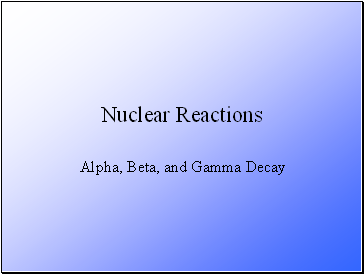 State what is meant by alpha, beta and gamma decay of radionuclides. 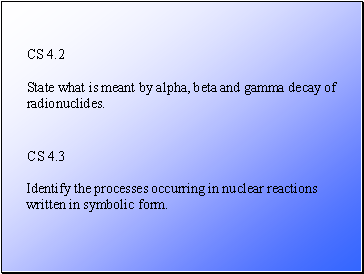 Identify the processes occurring in nuclear reactions written in symbolic form. All matter is made up of elements (e.g. carbon, hydrogen, etc.). 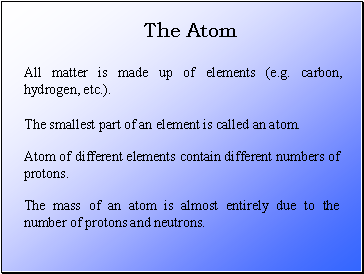 The smallest part of an element is called an atom. 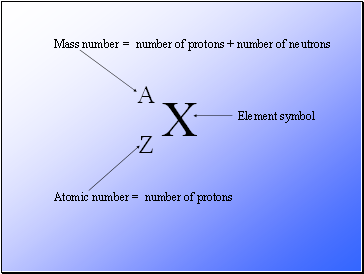 Atom of different elements contain different numbers of protons. 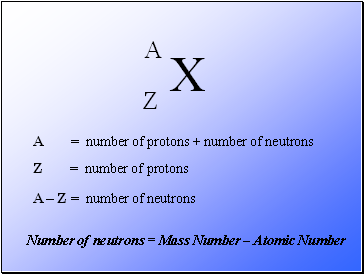 The mass of an atom is almost entirely due to the number of protons and neutrons. 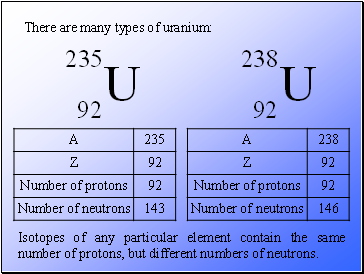 Isotopes of any particular element contain the same number of protons, but different numbers of neutrons. 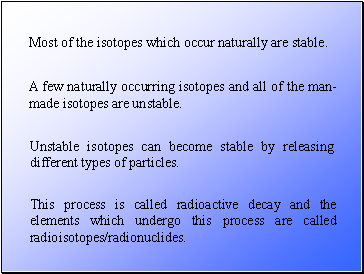 Most of the isotopes which occur naturally are stable. 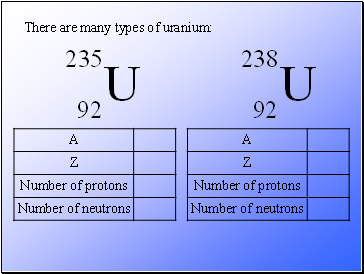 A few naturally occurring isotopes and all of the man-made isotopes are unstable. 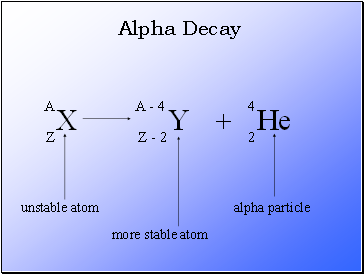 Unstable isotopes can become stable by releasing different types of particles. 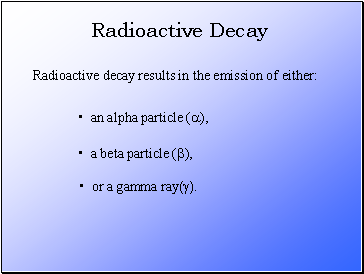 This process is called radioactive decay and the elements which undergo this process are called radioisotopes/radionuclides. 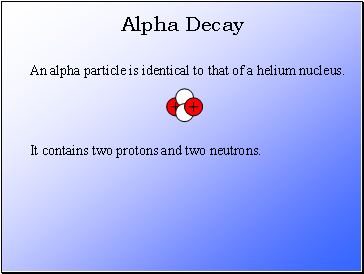 An alpha particle is identical to that of a helium nucleus. 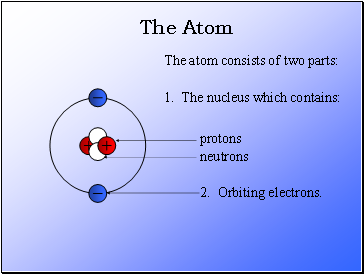 It contains two protons and two neutrons.